John was early and went above and beyond to help me out with my vehicle today. He is truly a blessing to me and my car. I won't trust my Sentra in anyone's hands except his, not even Clear Lake Nissan. Love this guy!!! John, as usual, was on time, courteous, respectful, funny, and great to be around. He performed the work perfectly and even made me smile when I was having a bad day. I only trust John to work on my vehicles. Outstanding experience. Tyler is an outstanding mechanic. He arrived at 10am and worked over 3 hours without interruption till he completed changing my Avalon head gasket. He is friendly and courteous and neat. What I appreciated about Tyler was his approachability; he was transparent and answered my questions in a helpful way. After he finished installing the head gasket, he inspected the engine for leaks, brakes and tires to ensure I did not have any additional problems. I will call on him to service my car and truck in the future. I've already recommended him and My Mechanic to several relatives. BTW My Mechanic charged me $274.06 (for 3.5 hours work); my dealer wanted to charge $750 for 5 hours to change the head gasket. Tyler always goes above and beyond of what is expected! 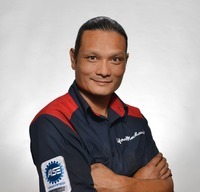 He is professional, knowledgeable, competent and courteous every time he has repaired our vehicles! Couldn't ask for a better experience! Thank you Tyler for all you do! On time, very polite and explained process. Answered all my question and completed job in a timely manner. Very Professional. He was on time. He did a good job.